Hey WinWinworld community! Lately I have been trying to find any information about a certain AST Advantage! Multimedia PC that my grandfather owns because it has a very interesting operating system. It runs a lightly modified version of Windows 3.1 "AST Computer Edition" (if I can recall correctly) It is a very interesting machine and I will attempt to make a copy of the IDE hard drive when I can. If anyone knows anything about the AST Advantage! Model number 4066d. It is an all-in-one machine. I have attached two photos. I could only find one image on the internet of the custom 3.1 boot logo and I also found an eBay listing of one of the machines to show a picture. If anyone has any information or software, please let me know! Thanks! I have the CD Image for my old AST Advantage! Adventure 6066d which is effectively the same machine. 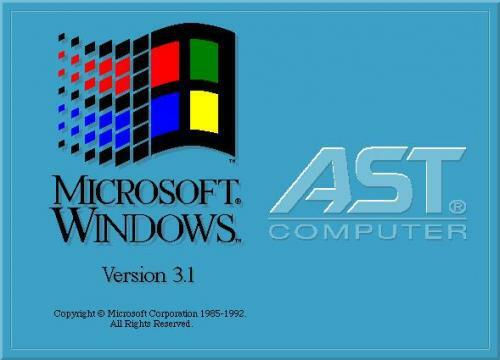 It does have the customised AST Winlogo, and the awful AST Works interface as standard. Would you be able to message me or publicly upload the disk image? Old thread, but I've also been looking for the installation software for an AST Advantage! Adventure 6066d. I'd love to get a copy of the disk image as well. Has it been uploaded publicly? I'd also love to get hold of this if possible! There is a recovery disk image on Internet Archive (https://archive.org/details/AST8090pData). But according to this thread, there seems to be multiple versions worth finding/archiving. I'd especially like to find the floppy images, or whatever originally came with the 6066d machine. Folks, very sorry - I only just found out that people had been looking for the disc image - I only received one email notification a few days ago. The disk image I have is for the 6050D & 6066D, AST p/n 501549_007. The floppy boot disk image is a bit of a pain as it varied depending on the fitted 2 x CD-Rom drive (in my case it was the Mitsumi), but there is a work-around. 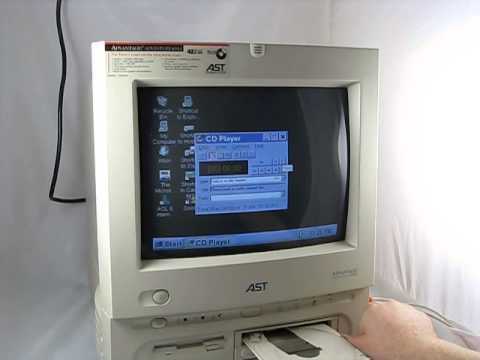 The work-around to restore an AST machine is to get a copy of the Windows 98 Boot Disk image, create the disk, boot with CD-Rom support and XCOPY the contents of the ORIGINAL folder to a freshly FDISKed and Formatted C: drive. Within 30 mins you'll be hearing Jim Schraith personally thanking you for purchasing an AST Computer. I'll rar the CloneCD Image, upload and share the link very soon. Markdown uses > as the character for blockquoting, so that made a total mess of things. Fixed it by putting them in code blocks. Should anyone require the original software for 6050d/6066d PC's, please try the link below. Any issues, let me know.